Digital War offers a comprehensive overview of the impact of digital technologies upon the military, the media, the global public and the concept of ‘warfare’ itself. 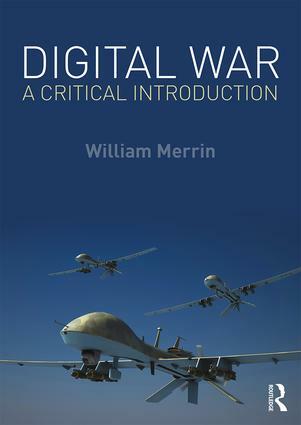 This introductory textbook explores the range of uses of digital technology in contemporary warfare and conflict. The book begins with the 1991 Gulf War, which showcased post-Vietnam technological developments and established a new model of close military and media management. It explores how this model was reapplied in Kosovo (1999), Afghanistan (2001) and Iraq (2003), and how, with the Web 2.0 revolution, this informational control broke down. New digital technologies allowed anyone to be an informational producer leading to the emergence of a new mode of ‘participative war’, as seen in Gaza, Iraq and Syria. The book examines major political events of recent times, such as 9/11 and the War on Terror and its aftermath. It also considers how technological developments such as unmanned drones and cyberwar have impacted upon global conflict and explores emerging technologies such as soldier-systems, exo-skeletons, robotics and artificial intelligence and their possible future impact. This book will be of much interest to students of war and media, security studies, political communication, new media, diplomacy and IR in general. William Merrin is Associate Professor in Media and Communication at Swansea University, UK. He is the author of Media Studies 2.0 (Routledge, 2014) and Baudrillard and the Media (2005).